Special events come in a number of shapes and sizes. Depending upon the importance of an event, like an awards ceremony or wedding, picking up the guest of honor in your trusty Honda simply won’t cut it. 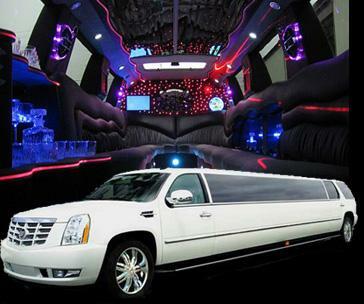 Most popularly, Austin limousine rental is used for the most important day in a man or woman’s life: their wedding. For an upcoming wedding, limo rental is a must with recommended booking as early as six months in advance. When you book a limo for your big day, consider other members of the wedding party that may also require safe transportation, beyond the bride and groom. If you have several bridesmaids and groomsmen, ushers, in-laws, and guests from out of town, it may be worthwhile to book multiple limos to transport guests safely to and from the ceremony and reception site. Similar to limo rental, car service is an ideal choice if you are looking for slightly less flashy transportation with the same professional ambiance. Car service can be used to pick up important clients from the airport or transport employees to VIP business meetings. Car service can also be used for any important night out on the town when reliable transportation is needed. For example, if you and a group of friends plan to go to a concert in Austin, you can arrange car service in advance to take you to and from the venue to eliminate the hassle of parking and the risk of a DUI. Don’t forget that a car service comes in many shapes and sizes. If you need to arrange for transportation for multiple guests to or from the airport, for business travel or even a family reunion, an airport shuttle can be scheduled beforehand. Car service can be booked for any type of special event, large or small, especially when trustworthy transportation is needed. This may include transportation to a sporting event, a Valentine’s Day date, a New Year’s Eve party, or even a college graduation to commemorate one of life’s important milestones with a stylish ride to the event. ← How Much Should You Tip Your Limo Driver?